Welllp, I’ve finished another lopapeysa… just in time for summer, alas. I’ve still been wearing it out of obstinance because I don’t want to wait until next winter to wear it. 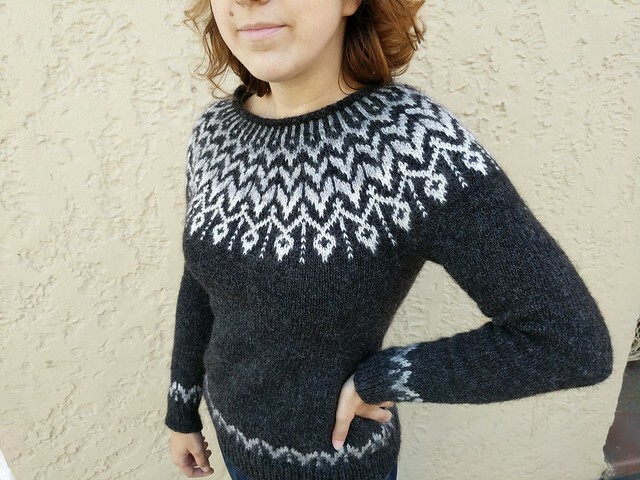 I followed Jenn Steingass’ “Dreyma” pattern and it is different from traditional Icelandic sweater patterns in a few ways: it is knitted from the top-to-bottom (instead of bottom-to-top like most Nordic sweaters) and it has short-row shaping for making the back longer, and decreases for the waist and increases for the hip – so it is more fitted than most traditional peysas, which are somewhat unisex. Also also it has an option for the rolled collar instead of the traditional ribbed collar. 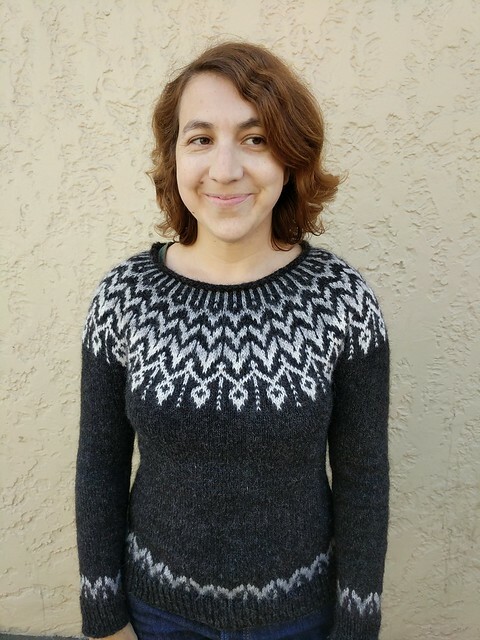 I like the unisex sweater look with the ribbed collar, and of course I could have gone for that again, but I figured I have so many peysas with such a similar layout that I should make at least one different – just to mix it up. This entry was posted in Knitting and tagged knitting, lopapeysa. Bookmark the permalink. 1 Response to The Newest Lopapeysa!